Courtesy Matthew Hansen; University of Maryland Department of Geographical Sciences. Satellites and algorithms are among the latest tools in the land management arsenal, bringing transparency and awareness to land use. 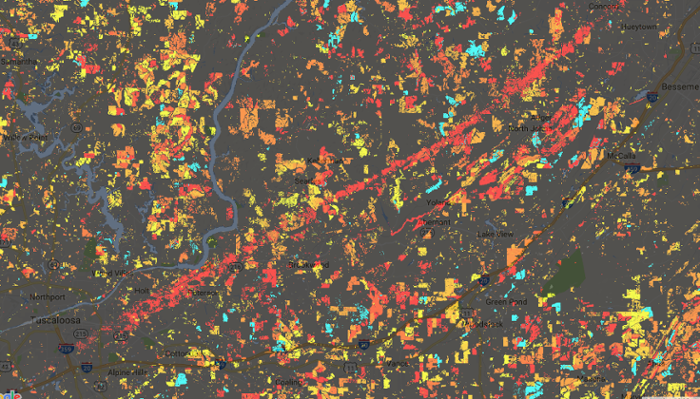 Remote sensing tools and algorithms bring transparency to land use. 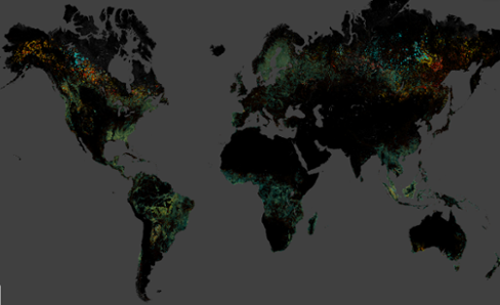 Datasets and land use alerts find a market among government and non-governmental agencies. Management tools protect endangered lands, raising awareness about drivers of land use. Growing up in central Indiana, Matthew Hansen would sometimes visit the old growth forests left in the state. These experiences must have left an indelible mark on his psyche, because decades later he finds himself a leader in land use management. 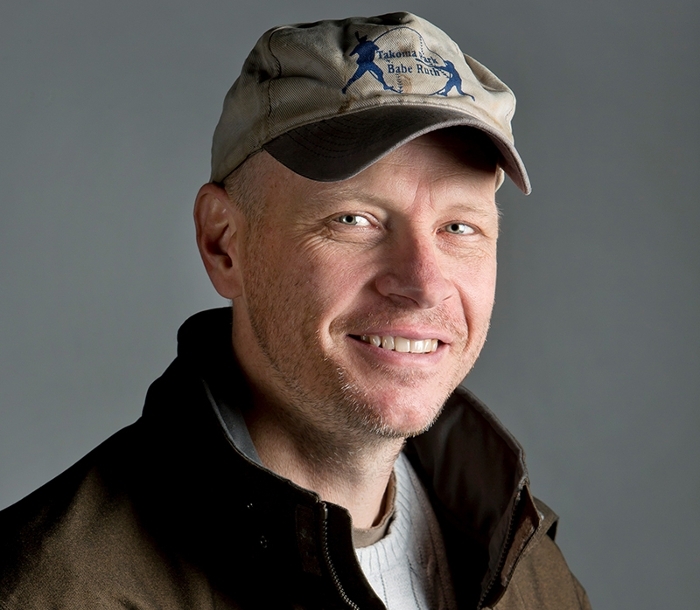 Hansen is now a professor at the University of Maryland, where he heads up the Global Land Analysis and Discovery (GLAD) laboratory. His work uses remote sensing tools and algorithms to keep track of land use across multiple scales. His team produces datasets and maps that inform and empower land resources management. Hansen’s team at GLAD tracks many aspects of land use; among the most important subjects they study is the change to forests around the world. Thanks to the well-calibrated instruments launched into Earth orbit by agencies like NASA, GLAD has been able to fine tune algorithms that can extrapolate images and document what’s going on in the forests. To do so, Hansen’s team collates satellite images and delivers annual reports on a variety of land use metrics that summarize a year’s worth of alteration to a nation’s land. In between these annual reports, Hansen’s team sends out alerts. GLAD alerts government agencies to issues like illegal logging and mining or incursions into protected areas, such as indigenous reserves or animal habitats. Peru’s use of GLAD's alert products is particularly encouraging, Hansen says, as their Ministry of the Environment has built a website that receives the alerts and communicates them to the various regions of the state. In addition to the information system Peru has constructed to disseminate environmental data, they’ve also directed their prosecutors to use Hansen’s alerts to enforce their forestry code. Russia also makes great use of the alerts, albeit from a different motivation. “The Russian government seems to be very interested in this because they lose a lot of tax revenue with far east logging. Something like 90 percent goes out of the country without official sanction,” Hansen says. The Jane Goodall Institute also employs Hansen’s alerts to help stave the dwindling chimpanzee habitat. Chimpanzees are forced into narrow riparian zones alongside rivers and are feeling so much pressure they have become nocturnal animals to steal corn out of fields. Though an alert at that stage may be too late, most of the time the alerts do make a difference. His remote sensing alerts feed into a synoptic overview of what’s going on in a region or particular swath of land. This perspective provides a record that can address a whole host of issues. Hansen's tools have supported NASA climate models that create a global perspective of bio-geo chemical cycles and climate dynamics. They have been used to demonstrate that greater tree cover provides a more resilient and diverse supply of food stuffs, with better health outcomes as a result. Hansen’s datasets have also been used to show correlation between Indonesian decentralization and deforestation.